So Oracle has released Java 11. Yay! Or is it time to panic? Are your current skills outdated? 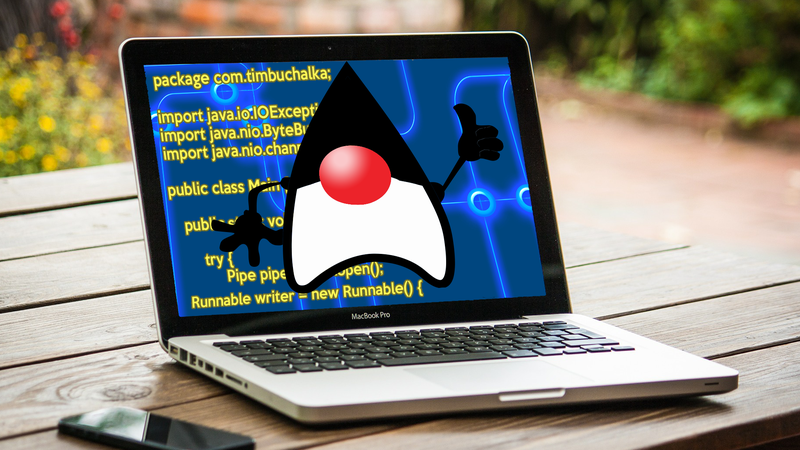 Is it time to throw away all your old Java training? Given that Oracle are now charging for Java, is it time to dump Java in favour of another language? Read on for answers to all of these questions, and more. Java 8 was released on March 18, 2014. I am going to use the terms Java and JDK (Java Development Kit) interchangeably here. In general, since I am a programmer, and this is a programmers website I am talking about the JDK . Java 8 was the current version when I created the first version of my Complete Java Masterclass. At the time Oracle (owners of Java) released a new major version every few years and updated on a regular basis (Java 7 was released on July 28, 2011). In 2017 Oracle changed the way they would release updates to Java, and the Java Developer Kit, and decided that more frequent updates would occur, and that only one selected version would be marked as LTS – Long Term Support. What’s this Long Term Support thingie? LTS means that Oracle are committing to supporting it for a long period of time (years) in much the same way that Java 8 has been supported by Oracle since 2014. Other versions of Java that are released after a LTS version (like Java 12 for example) will only generally be supported for six months. That has already been proven to be true because Java 9 and Java 10 are both now no longer supported by Oracle. Confusingly, when I say version, Oracle still provide updates to these major versions along the way. So version 8 (a major version release) of Java has had numerous updates – Update 181 to Java 8 is the latest one to appear. So there are effectively versions of Java within versions if that makes sense. When Oracle say they are no longer going to support a version of Java, it means there will be no more updates to that major version. When Java 9 came out it was supported until Java 10 was released on March 20, 2018. September 25, 2018 was release day for Java 11 – As such, Java 10 is now no longer going to be supported. So technically Java 9 and Java 10 are no longer supported by Oracle. 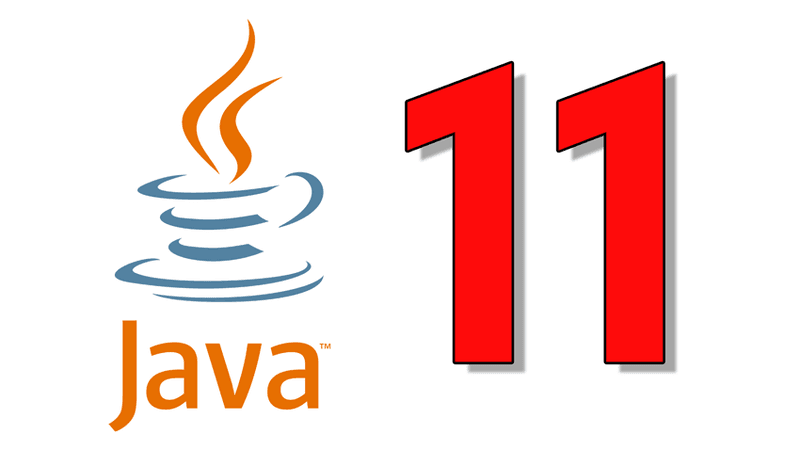 The two main versions being supported currently by Oracle are Java 8 (until January 2019) and Java 11 which is the first official LTS version of Java. Java 11 is the one to learn then? Oracle have committed to supporting Java 11 for the next eight years. So you can expect to see this version get wide usage over the coming years for that very reason. Java 12 is planned for a March 2019 release, and a new release is planned each six months after that. Large corporations with big Java projects and code-bases don’t tend to upgrade quickly. With a lot of Java code comes complexity in maintaining it, and full testing would generally be needed before moving to a major new Java release. It’s not as simple as just installing the new version of Java. Depending on the age of the code-base, it might be using features that are no longer present or work differently in more recent releases of Java. As a result, organisations with large code-bases tend to stick to particular versions of Java for long periods of time, and only update when there is a need, or a change in support. Java 11 will be the next version that these organisations will likely migrate their code-base to. Because Oracle are committed to supporting it for eight years, they can get their code-base working with a version and be able to use it for a long period of time with full support. I read that Java 11 is no longer free, is that true? Technically yes, that is true. It’s now no longer free to use Java 11 – Oracle expect you to pay to use Java 11. If you are a business, then yes, you should expect to pay to use it. It’s not unreasonable in my opinion for Oracle to ask for a payment for commercial use, they are not a charity, and they do offer a few alternatives if you do not want to pay. Firstly though, from their licensing agreement for Java 11 page is the following text. What that means is if you are going through my Java course or anyone else’s training, and writing Java programs in general, you do not have to pay. But when it comes time to run your program, thats when you have to pay. In general as a programmer, or a student learning, writing, testing, prototyping and/or demonstrating your apps, you do not have to pay. If you are a business who is using Java for commercial purposes, then, yes you will pay. The full details are here, but in general it will be $2.50 per computer and $25.00 per CPU processor, per month. Even then though, you have an option – to use the free OpenJDK. Yes, installing that version means you don’t have to worry about anything and it will be completely free. So what this means is you really don’t have to pay for Java if you don’t want to. So which version of Java should you learn? What this means for you, the developer is that currently Java 8 is still the right version to be working with at the moment. If you get a job at an organisation, chances are high they are using Java 8. So having experience with Java 8 is going to be a good thing for you. But you should also be starting to look at Java 11, There is no urgency to this because it has only just come out, and as mentioned above larger companies will be in no hurry to update. And in terms of whether to use the Oracle version of the JDK or the open source version, either is good if you are a student learning Java, and/or are building your Java applications. How does this affect the Complete Java Masterclass? What I will be doing is ensuring it all works correctly in Java 11, and also will be taking the opportunity to update some parts of the course to Java 11. With a 75 hour course, it’s not practical to re-record the entire course, especially when I actually designed most of it to be future proof anyway. The course as it sits right now is completely relevant for you in 2018 and beyond. The first thing I am going to do is re-record all the installation videos for Java 11. 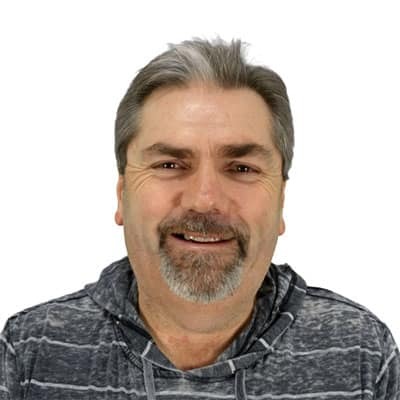 I will then take the opportunity to re-record some of the early parts of the course to Java 11, mainly so that students get a current day experience with the current version of Java. But I want to stress that the course as is is very much relevant for you. I’ll be using the Oracle JDK since there is no reason no to do so, and it’s also a good idea for students to see the version of the JDK they will likely see when they are working in a job. However, I will discuss the OpenJDK so that students can clearly see the differences. Overall, the content won’t be changed drastically, but I’ll improve things where I can and where it makes sense. I’ll have some exciting news for you in the future about a new Java 11 course I am working on, that should be released in November, but more on that later. Its purpose is not to replace my existing Java Masterclass course though. For now, my suggestion is that you start moving your skills to Java 11, but also to keep in mind there is no mad rush to do so – It will be a good thing to add to your resume (Java 11 skills) but solid Java skills is more important than Java 11 specific skills. Thanks for reading. I’ll do a followup post to this one in the future where I will discuss what has changed significantly in Java 11. Great blog and information Tim. I have to wonder how this will affect Java usage in the long-term. I have often said that with all the new languages coming up, and Android now leaning heavily on Kotlin, that Java may be in its sunset years. I think Kotlin will push out Java for sure in the coming years, leaving Java mainly to the enterprise. It will be interesting to see how this all plays out! I am still very confused about the impact of this changes for Android. If I am an Android developer, one single developer, and I publish an app in the Google Play store, and the app is not free, it’s paid, am I to pay oracle the license for this? 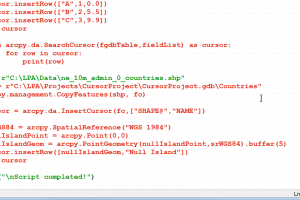 Is this one of the commercial use-scenario described in the documentation you quoted? It would only apply if you were using the Oracle version of Java – Android apps do NOT use the Oracle version, so you do not need to pay. How does this affect Android development? Not really at all Jamie – you now have the option of using Kotlin for Android app development. Google and Oracle are still fighting in the court. For the immediate future I don’t see anything dramatic changing. If I were starting a new Android app today, I’d probably use Kotlin to eliminate any chance of getting caught in something in the future. Should this (see imgur image below) be my preffered choice of learning Android/CrossPlatform Development (Imp Mention: Your Android-Java Masterclass not here) and just leave away java now for native android learning? Java and Kotlin are both great for app development. Kotlin is the way of the future for Android app development – Google are pushing it hard. Java is still in widespread use and I don’t expect that to change in the short term. Dart and Flutter are pretty new but are good options as well. If you click my profile I still have the Android Java masterclass! Sorry for this cross-posting, I actually don’t know if the other posts came across. If I am a single-developer, developing apps for Android in Android Studio and using Java, then I want to sell my apps on the Google PlayStore, am I to pay Oracle the license, yes or no? How does this license affect other JVM-based languages, like Kotlin and Scala? This is Java only at this time – the license section I quoted is for the JDK 11 download – Oracle have no say over Kotlin and Scala – The Java Virtual Machine where all Java, Kotlin and Scala code run is different and distinct to this. So right now my answer is it does not affect them at all. As a fan of your classes, I want to ask you if you consider to prepare any courses on design principles and design patterns for OOP. Thanks for the suggestion, I will certainly consider it! I would definitely join that Design Pattern for Java course if you have it on Udemy one day 🙂 Cheers. 2) If I want to use opejdk to not pay for license, do I have to build it or just download some compiled binary? I feel like Java is going the Borland Delphi way. From comprehensive tool extensively used by consultants and students, it has been retargeted at enterprises. Price tag rose by a multiple and nowadays nobody uses it any more. Only uses are to maintain legacy projects, where you are “the niche specialist”. But it’s now 5 years we don’t develop a single new Delphi application, it’s not worth the cost. Oracle charging $25 per processor per month is exactly going there: if you have a bank or large company you’ll pay the price to upkeep your large legacy software, but new companies and startups will stay 1000 miles away from Java. This is a near sighted choice, especially in the light of Kotlin and Go, both perfectly capable to replace Java in most of the solutions. I remember Borland Delphi well – even back to the Turbo Pascal DOS days. It was/is a great product. Java has a huge foothold in enterprise so it’s probably not going to do much to Java usage in the short term. e.g. Oracle will probably make a lot of money from this, and the enterprise folks will keep on using the Oracle JDK for now. But long term, especially with Android moving towards Kotlin I would say eventually the Oracle version of Java may start losing its appeal. With the heavy current usage though, I don’t see anything changing dramatically for the next several years though. As you say though new companies and starts may well start staying away from Oracle Java/JDK. Remember that the OpenJDK is completely free and open source, so those startups can freely use that as an option. As such I think Java is still here for now. It will be interesting to see how this all plays out! Agreed, I love Kotlin as well! Looking forward to exploring the differences between the paid “Oracle” and free “Open” JDKs, but mostly for curiosity. Honestly don’t know what Oracle is thinking to accomplish here. Trying to lock in “paying” customers like this only works when they don’t have alternatives, and this seems like it will accelerate the rate at which businesses are moving away from Java. Haven’t had to support very much Java the last few years and don’t see it as a priority going forward. In general there is no major differences between the paid Oracle version and the OpenJDK version. This is a way to get large corporates to pay for Java – I mean on the one hand I can’t blame them for wanting to make some money out of Java. It’s good that there are free alternatives! Thanks for the info, Tim. Your clarification of the distinction between the LTS versions and the other “major” versions is very helpful. Also, before all of this I had never really considered using the OpenJDK, but now will be giving it a very close look indeed. Great information! You are welcome! Remember that for development purposes there is no reason for you to move to the OpenJDK – It’s just commercial applications that require a license. OpenJDK is a good option though, for sure. Thanks for the great post, Tim. As clear as your explanation is, I still have a question. I’m about to finish a program for a very small business, and I chose Java because (1) it’s cross platform and (2) it’s free. I’m using Java 8, and I can’t ask them to pay even $27.50/month. I understand that I can use OpenJDK for development, but what about the JRE that I’ll need to install?? Will the customer have to stay with Java 8 to avoid needing to pay? I have ecatly same question, even I develop for myself some projects that manipulate lots of data for research, do I have to pay 27,5 too for my desktop? Nope, you do not need to buy a licence – in theory your customer who runs the final version of your code will. Developers who are writing code, testing, demonstrating, do not need to pay anything. But if you just install the OpenJDK on your customers computers then there is nothing to pay either. 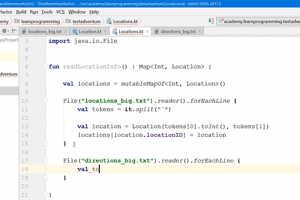 Development is not affected by this – you can freely use Oracle Java for development. To eliminate any issues, just install the OpenJDK version of Java (JRE) on your clients computer(s) and they will not need to pay anything. It’s that simple! – Google has moved to Kotlin for a beginning transition from Java, and will eventually replace the need for the JVM as well once “Fuchsia” hits with Dart and Flutter on board. – Microsoft is already implementing the OpenJDK for future Xamarin development, ridding the need for Oracle licensing. You are right – I think Google’s goal has been to move away from Java since the Oracle court case – and this years Google I/O event there was a lot of Kotlin on show. Many of the code examples are now updated for Kotlin, so it’s pretty clear on the direction they are heading. And you cannot really blame them can you? I like Kotlin as well, it rocks as a language. It makes sense to transition to OpenJDK over time. I think it’s probably ok that Oracle want to recoup some of their investment form the Sun purchase by charging for Java, but they may well be shooting themselves in the foot as everyone starts moving away from them! I have just downloaded the Complete Java Masterclass and had gotten to the installation videos in Section 2, when I remembered receiving an email about this post. So just to confirm, you’d recommend downloading the OpenJDK version instead of Java 11 or Java 8 for someone who is downloading Java for the first time? Thanks for the help – I look forward to taking the course! No need to use OpenJDK – I suggested this was an alternative – but you only pay if you are a business using the completed program – I’d actually suggest you download and use the Oracle version of Java for now. I’m using your java tutorial to learn java. My question is If I use Oracle JDK 11 for my testing and development proposes will I get free updates after the 1st 6th months of Oracle JDK 11 release (When 12 releases) and IF I am using JDK 11 what is the JRE I need to download? Oracle will continually update Java 11 for years (At least 4 years). You will be able to update at any time, even after they release JDK 12 or higher. Thats the advantage of using the LTS – Long Term Support version of the Java/JDK. As a developer you do not need to use any special JRE – just stick with JDK 11 for everything. A single Android Dev, writing Java code in Android Studio from his laptop, making an app and selling it for a price in the Google PlayStore, will now have to pay 27.5 dollars to Oracle not to run in copyright issues. Is this correct, or not? Just to be sure: it doesn’t matter in which version I write code either 8, 11 or later versions that will come up in the future I don’t need to pay for license? Its only when I would commercialy and continiously run programs in java 11 I should pay oracle..
That’s correct, you don’t need to pay when writing programs – no matter which version. If businesses now need to pay to use Java 11 , then do You think Java will be less used by companies ? In Web Development businesses , most companies that I know either using .NET or Java for their back-end. .NET is free to use even for business. The only thing they need to pay is Visual Studio IDE. 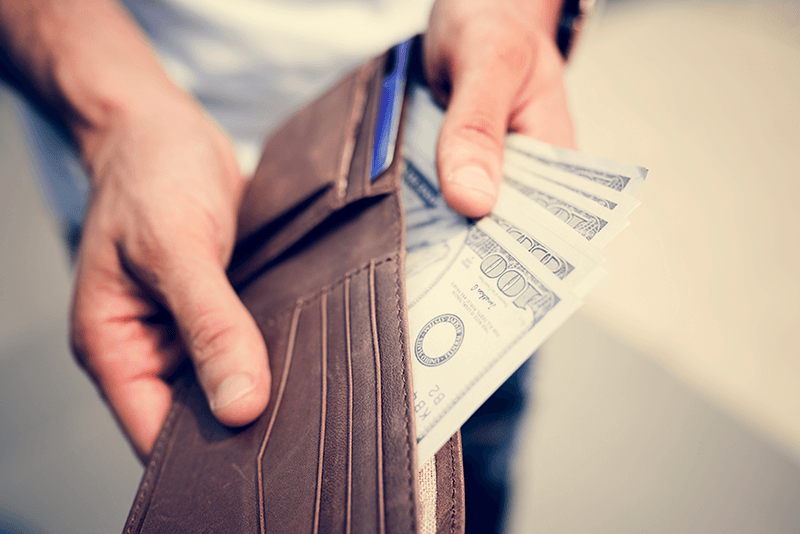 Now with Java 11, businesses need to pay for Java and IntelliJ IDE. I think moving to Java 11 is a good plan! I have been using your java master class and it is a very good course. Thanks for that! I wanted to ask you about the security fixes that is going to happen in both open jdk and Oracle jdk . I would assume that Oracle will take prioritized responsibility for Oracle jdk and leave the open jdk behind for community to take care of. This is going to be huge disadvantage for small and medium size enterprises who cannot afford Oracle jdk and hence opt to use open jdk. If important security fixes are not coming in a timely manner , I think open jdk is too risky to use. Like you mentioned in your article, Oracle still leads the open source jdk development, and also they claim that they will roll out simultaneous builds for both open jdk and Oracle jdk, I still doubt this process. I mean why would you fix something for free? You can always make your customers pay for the security patches by pushing them to purchase LTS software. Isn’t it ? I really don’t understand the pricing for the small and medium sized businesses. You cannot make everyone pay $25 . As simple as that. There has to be different matrix for different companies. 1) if there is more usage of open jdk now, then we might have a stronger open source community contributing to the open jdk which might outshine Oracle jdk someday. 2) Don’t forget that there many companies who use their own jdk built on top of open jdk. So you might see lot of other companies moving in this direction. 3) Companies like Zulu jdk support might see some form . At this stage, I’m going to take them at their word that they will update both. The reason why I think they will update both is they want Java to continue being used widely. They will know that a percentage of programmers and users will use the OpenJDK and will want to keep them happy – they will probably see these as future customers. For example a programmer uses the OpenJDK might be in a position one day to influence a business to pay for Oracles JDK. Thats what I think at the moment, but of course only time will tell. The $25 fee is per processor – so the more CPU’s in a server, the more the cost. 1. I hope that is the case! 2. Yes, google is one of them – currently fighting with Oracle in the courts. We will likely see more of that. Although it is a little disconcerting that Oracle wants to charge for Java, I agree that it is appropriate that they get value for what they invest in Java. I came to that conclusion after putting myself in their shoes. We’ve all become addicted to “free” stuff online – for example, Facebook, Android apps, Apple apps(?). But it’s not free – they mine our data, incessantly bombard us with advertising, or who knows what other scary things they do to monetize their investment. I’m developing Android apps (none published yet, but close), and want to charge for my apps. But I’m worried about people not wanting to pay since people are so used to getting stuff for “free.” This discussion is an example of that – we’re used to getting Java for free, but now we’re upset because it is now going to cost us in some situations. You are right, nothing is really free as such, there is a price to pay somewhere. About 7 years ago I released several games on iOS and Android – they were free apps with in app purchases. People complained that all the levels were not free and that the game had ads (both used in app purchases to add the levels or remove ads). Sometime people don’t think that there is a person or people behind the game who have families and need money to live and in the case of a free app, the money is made this way. Same as in your case with paid apps – don’t let it put you off though,a percentage of people will pay! thank you for the info! when it comes to Java 11 not being free and having a charge based on CPU, does this mean that if I build a toy app with spring boot and deploy it to, say, heroku, (using java11) then I will have to pay based on the size of the Dyno? That’s a little bit of unknown right now – I am not sure how the licensing applies in that scenario. I don’t think the fee is based on Dynos/Containers its per CPU. If there are multiple Dynos/Containers using a physical CPU I think you only pay it once. But I am not 100% sure of that – probably only Oracle could answer it. Can Kotlin be used to program Desktop applications, as a sort of java replacement? If so, would you consider doing a course like “Complete Kotlin Martesclass”? That was more helpful to know more about Java11. Thanks for sharing it. So if I’m understanding this correct, we, the developers wouldn’t have to pay anything unless it’s an application we created to use in-house, but if we sell it to businesses, they need to pay $35/month (since most machines now are quad core) to use it? What about selling it to individuals? As an example, say I create a light word processor in Java and I sell it to individuals and businesses. Do I need to pay Java $35/month on average for each computer it’s installed on (i.e. each license). I must be misunderstanding this. Free for developers, yes. You as a developer don’t pay for it to be installed on individual or business computers – it’s up to them to pay. And the price is per CPU core as I understand it. They could pay if they wanted to, or they could just use the free OpenJDK and not pay anything. Hello Tim, Thank you for the info. I’m still a bit confused, I really want to develop a small game made in Java. My question is, Anyone who wants to play my game will need to pay to oracle a license? You don’t have to pay Oracle a license – the onus on any licenses is on the end-user. Remember that they could use the openJDK and never have to pay anything. Basically from your perspective, just go ahead and create you game and don’t be worried about licensing costs for users of the game. Mainly because students turning into professional programmers will use the Oracle JDK much more than the OpenJDK. in a company environment. Plus it’s free to use for developers. You can, of course, use the OpenJDK if you prefer. Is there anything to worry about java’s future? I mean not just an android development, but web developing, etc? I started learning java quite recently and some people tell me this is the end of Java. Can someone explain me (like for the beginner) what is the problem of Java and why a lot of people talk about it? I don’t there is any real worry about Java’s future in general. It’s still one of the most popular languages in the world and then is a lot of existing code out there. Even if it stopped tomorrow it would take years before it died out because all that existing code still has to be maintained or upgraded. I’d suggest you take note of the people who are telling you it’s the end of Java. Are they sufficiently qualified to answer that question? What are they basing their opinion on? Java is a good language to learn as a beginner, and personally, I think it’s a positive thing to add to your skillset. I really appreciate your insights and your honest and clear responses to the comments here. I’m working towards getting a job as a programmer/software engineer and having read your Programming Career Guide (which I found very helpful) I’m at the learning level 2, conscious incompetence when it comes to making decisions in the best way to get there. I know I could do a university course and go that way but at 38 and with some experience under my belt I was aiming to complete some online courses get Oracle Java certified and start applying for work in a Java or Java app dev job. Then I read articles like this and wonder if I’m taking way longer that I need to and whether I should focus on say Kotlin instead which I did not have in my plans 2 months ago. Any advice around making the best decisions to work towards a job would be hugely appreciated. Great job with the post. It was enlightening reading it. My one question though is, but I think I might know the answer to it anyway. It is my understanding that Java 11 comes with more features than Java 8 so If I develop an application with Java 11 and It turns out to be cost inefficient, leading me to switch to Java 8, will I have to downgrade my Java 11 code so that it can efficiently run on Java 8 and in turn lose specific feature functionality? The only reason you would have to lose specific functionality is if you use Java 11 specific code in your application. Java 8 will work just great with Java 8 code, so you still options if needed. I think you should find that Java 11 is fine to use in more circumstances and you always have the choice of the OpenJDK for Java 11 if needed.